Rain or shine, Vols fans showed up to cheer on the football team during the Orange and White game and had tons of fun before the game even started. KNOXVILLE, Tenn. — Rain on Rocky Top doesn’t bother Vols fans. People showed up in crowds to get a sneak peek at what the upcoming football season may look like. A soggy forecast can't stop Vols super fan Ron Gilman from showing up to a Vols game dressed in his finest orange and white costume, complete with flashing light shoulder pads and a painted Viking helmet. Gilman was glad to get a taste of football in the spring because he feels at home in Neyland. “No matter how much you feel you’re a misfit when you’re a Vol, you’ll always fit in, and VFL means we are Vols for life," Gilman said with a grin. He'll be the first to tell you he's no fair-weather fan. 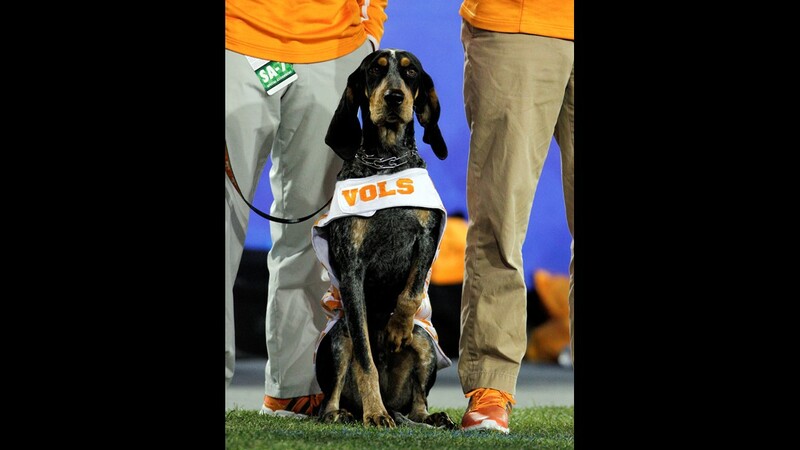 But Gilman can never compete with the biggest Vol of all time, Smokey. The beloved mascot was honored with an unveiling of 10 Smokey statues across campus, one for every Smokey to ever grace the university. Michael "Mickey" James Curtis Jr. was the SGA Vice President in 2017 when the idea for the Smokey statues came about. He spoke about how much of a legend the blue tick hound has been for the university. "Each one played a special role in our campus history and this is to honor them," Curtis said. Curtis also made the point that the University of Tennessee has many traditions honored on campus, and now that the Smokey statues are out and about, the campus is complete. 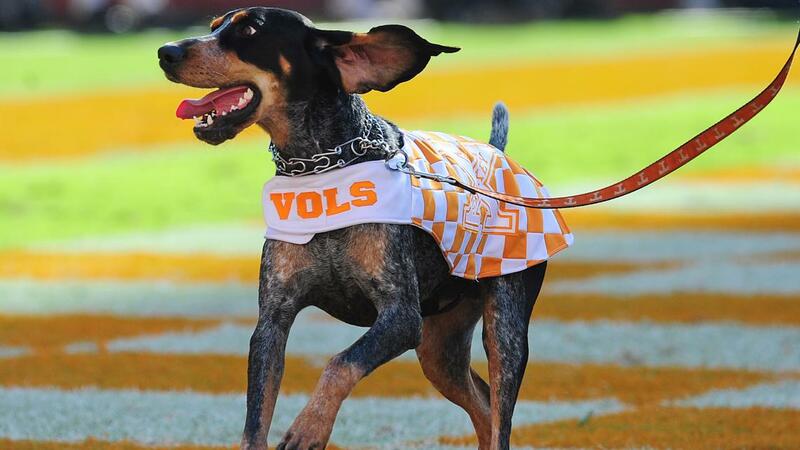 Smokey the bluetick coonhound is the official and much loved mascot for the University of Tennessee. He was selected in 1953, during a contest to select a live mascot for the school. Announcements for the contest read, “This can't be an ordinary hound. He must be a 'Houn' Dog' in the best sense of the word." At halftime of the Mississippi State game, the contenders were brought onto the field. 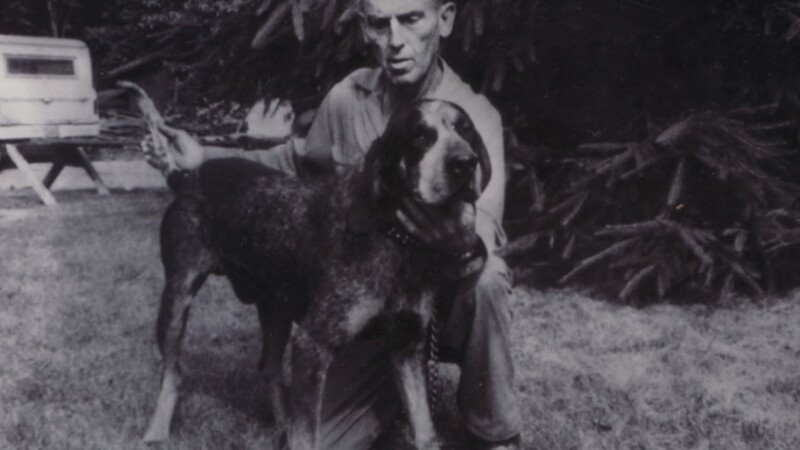 The last dog announced was Brooks’ Blue Smokey, who barked when his name was called. The students burst into applause, which only made Smokey howl louder. 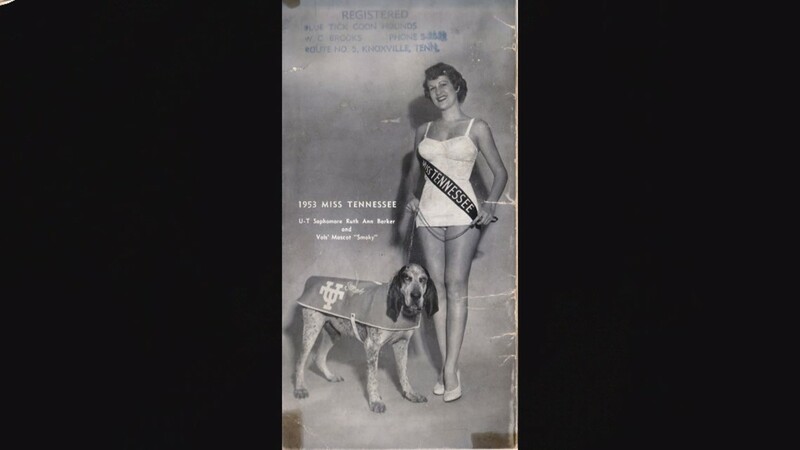 Tennessee had its mascot. 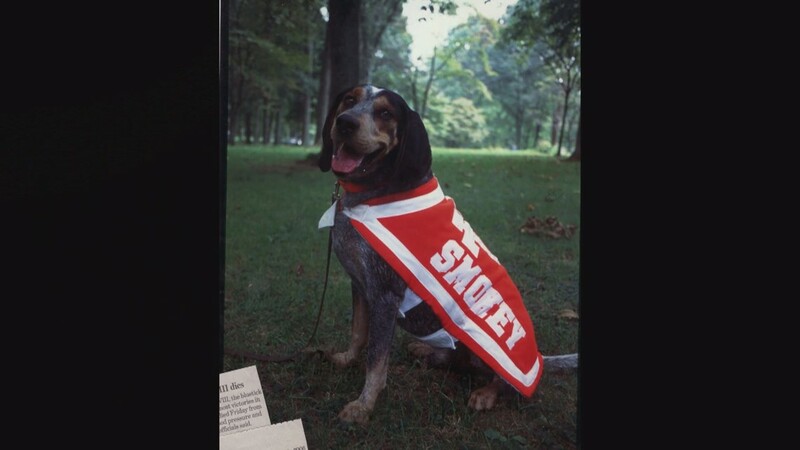 The first Smokey was owned by Rev. Bill Brooks. 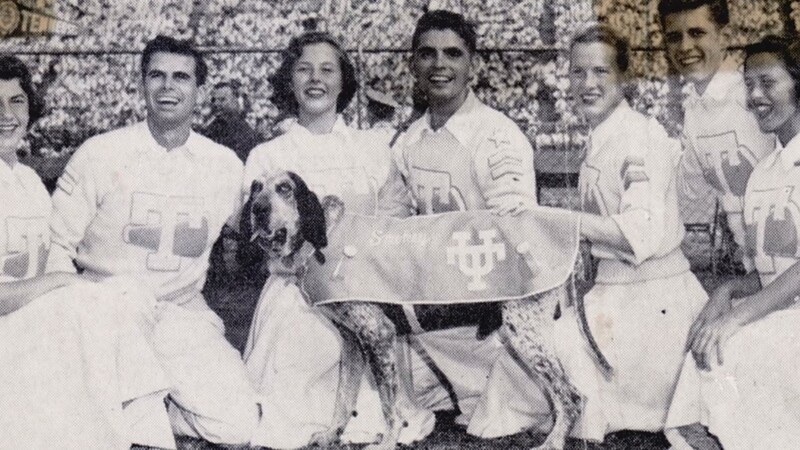 His family and extended family have cared for and provided ten Smokies for UT. Smokey has had some interesting adventures over the years. 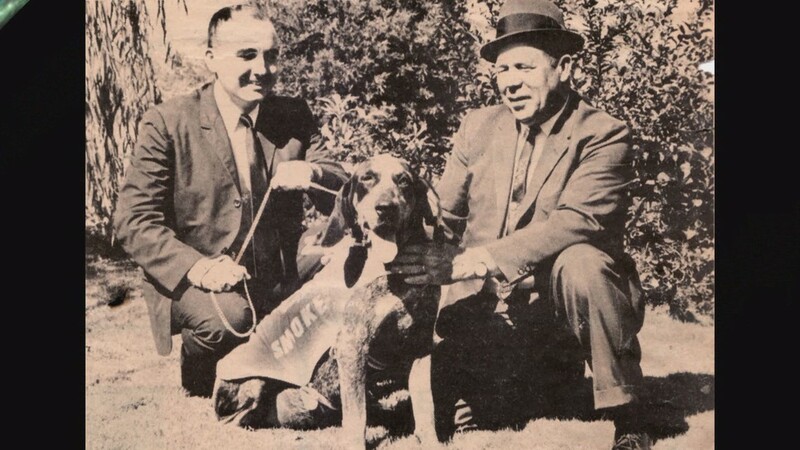 Smokey II was dognapped by Kentucky students in 1955 and later survived a confrontation with the Baylor Bear at the 1957 Sugar Bowl. Smokey VI, who suffered heat exhaustion in the 140-degree temperatures at the 1991 UCLA game, was listed on the Vols injury report until he returned later in the season. He was on the sidelines for three SEC championships. 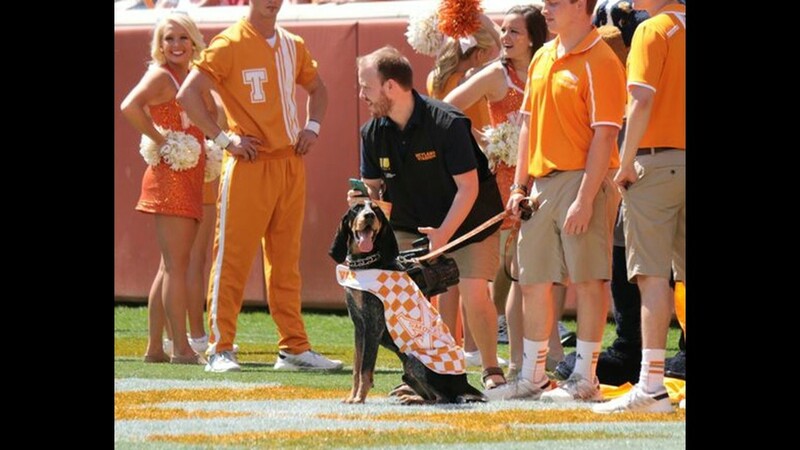 Smokey X at the Orange and White Game. 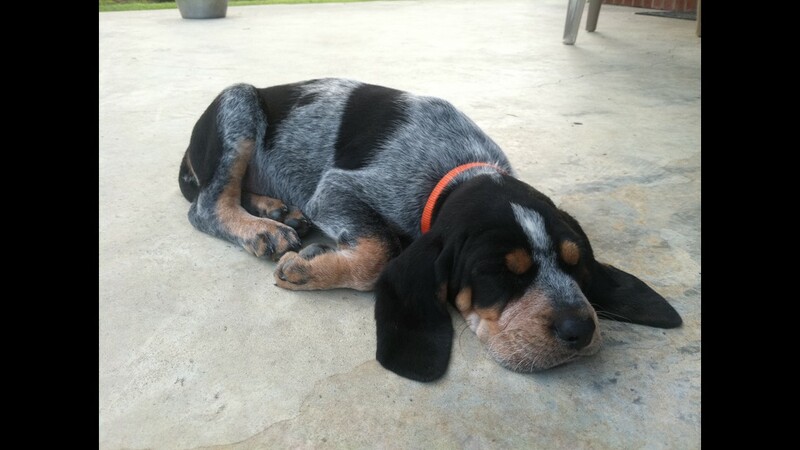 Here's another shot of Smokey X when he was eight weeks old! 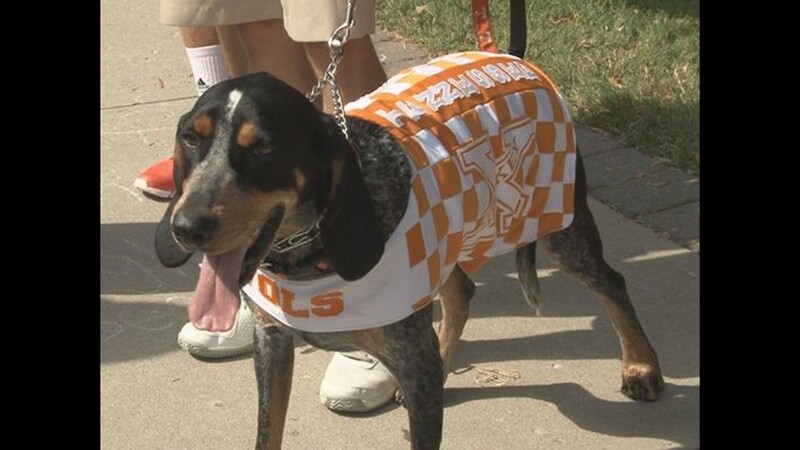 There were also newer Vol fans to grace Neyland stadium on Saturday. Deshanna and David Stephens have a new Vol on the field. They are parents to No.53, Dawson Stephens. "We're all about it and we love the sea of orange," Deshanna said. "We're just excited to be here period," David said. "Because our son's gonna be able to play football in the SEC for Tennessee!" The Stephens are very proud of their son and said it's "a dream come true" to see him in orange and white. Overall, they weren't worried about whether orange or white would win at the spring scrimmage. "It's the one game of the year that there's no losers," David said. "Everybody wins because you get to be here." There were plenty of "Go Vols!" yells and groups singing "Rocky Top" before the game. If you missed the Orange and White game, don't worry. 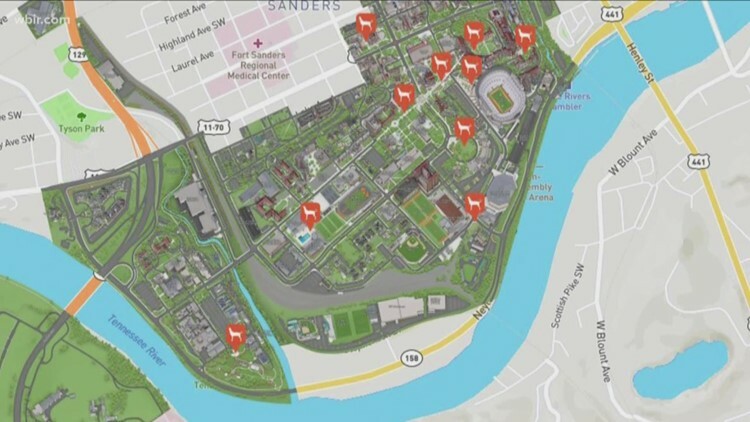 UT is having a slew of other sporting events over the weekend for their "All Vol Weekend."